A Kids Deluxe Teenage Mutant Ninja Turtle including a padded Jumpsuit and Four Eye Masks – Ideal for any TV & Film, Book Week, or Superheroes fancy dress occasion! 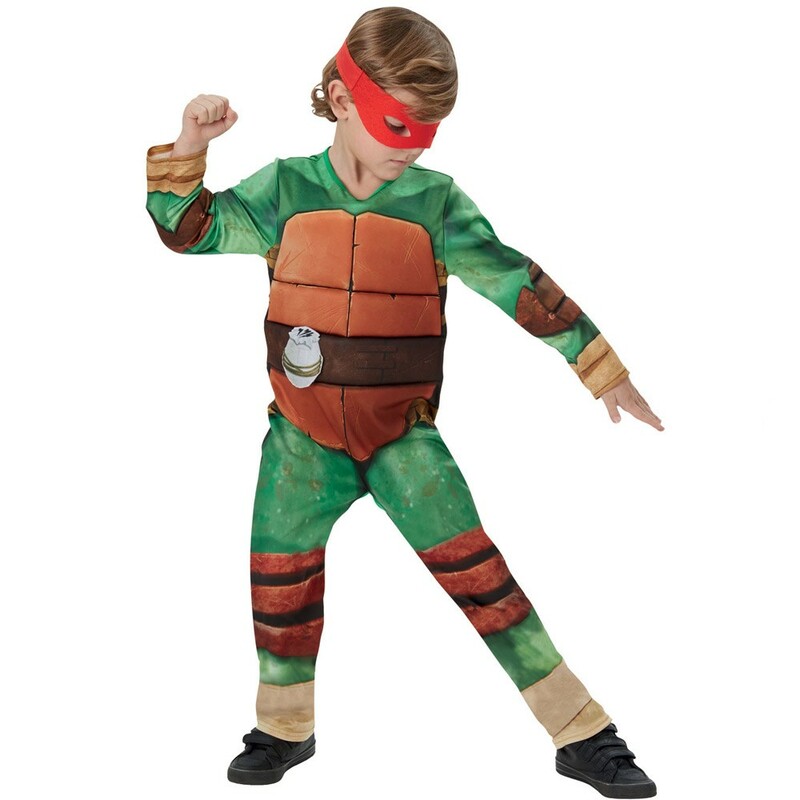 Get ready to take on your enemies in style with this incredible Kids Deluxe Teenage Mutant Ninja Turtle Costume is perfect for any occasion. This official licensed costume comes complete with a padded Jumpsuit and Four Eye Masks. 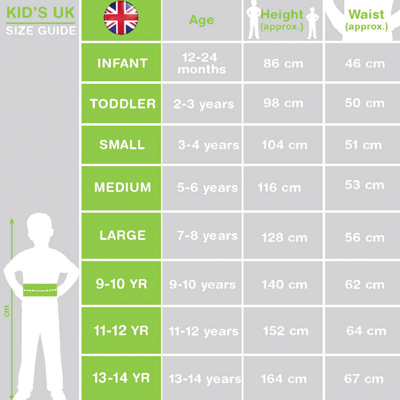 This green and brown jumpsuit features a padded chest, with a printed Shell design, and fastens at the back of the neck with Velcro for ease and comfort. 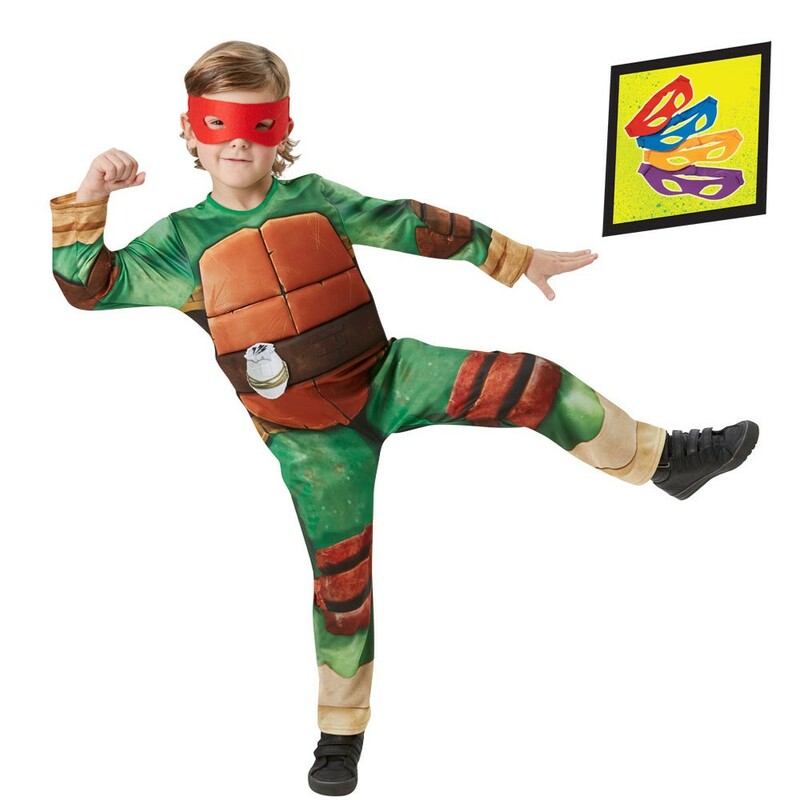 This Kids Deluxe Teenage Mutant Ninja Turtle Costume comes complete including four different coloured Eye Masks so you can pick and choose whether you want to wear Blue for Leonardo, Orange for Michelangelo, Purple for Donatello, and Red for Raphael, it’s as easy as that with this fantastic Kids Deluxe Teenage Mutant Ninja Turtle Costume. This Kids Deluxe Teenage Mutant Ninja Turtle Costume is perfect for a TV & Film theme, Book Week, Superheroes, or any other fancy dress occasion! A Kids Deluxe Teenage Mutant Ninja Turtle Costume.